ILBS Recruitment 2019 - Apply Online for 331 Professor, Sr. Resident & Other Posts in ILBS, New Delhi. 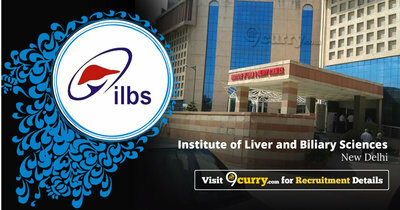 Online Applications are invited by Institute of Liver and Biliary Sciences, New Delhi from 06 Feb 2019 to 15 Mar 2019 for 331 vacancies. MBBS from a recognized university should have completed internship certificate, registered with Delhi Medical Council with minimum 1-year experience post qualification in Medicine/ Surgery/ Pediatrics. Eligible candidates may apply online at ILBS's website (direct link is given below) from 06 Feb 2019 to 15 Mar 2019. Candidates log on to https://www.ilbs.in/?page=hrjobs_listing. Select the desired post & Click on "Apply".